Take a trip to Wales with us and learn a little about the country, have a go at some fun Welsh-themed crafts, enjoy our colouring pages, dabble in our daffodil and castle topics, explore our St David's Day section, and introduce the kids to some well-known Welsh landmarks! You can even have some fun with our Welsh language printables. 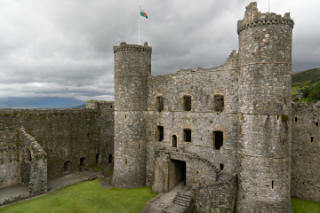 This section is for children wanting to learn more about the country of Wales. 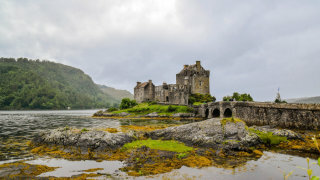 Use our resources to learn more about the geography, history, people and landmarks of the 'Land of Song'. Learn about the national flower of Wales and have fun with rugby, sheep, castles and, not forgetting, dragons! 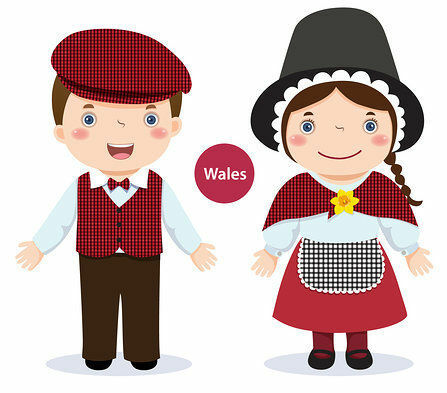 A boy and girl dressed in traditional Welsh costume!